Over the past eighteen months, MOOCs—Massive Open Online Courses—have gone from being an obscure, funny-sounding acronym to a topic in the mainstream press on a near-daily basis. Announcements abound from the major players in the MOOC arena who continue to partner with research universities, colleges, and community colleges, all of whom are eager to offer their brands to students around the world. In theory, educational opportunities that were once restricted to the elite are now openly and freely available to anyone, anywhere with internet access. Online courses—the “—Ocs” in MOOCs—are not a new concept. Since internet access started to become popular in the U.S. in the late 1990s, higher education has been experimenting with distance learning, online learning, and “hybrid” courses—i.e., courses including both online and in-person components. Learning Management Systems (LMS), the technology making MOOCs possible, have been a staple for the past ten years. But what separates MOOCs from other forms of online education are their scale (“massive”) and their openness—MOOCs do not have enrollment fees and are open to anyone, anywhere. As a result, courses often have huge enrollment numbers such as 25,000 to 50,000 students, and students come from all over the world, with varying levels of knowledge and expertise in subject matters related to courses. Furthermore, MOOCs are not tied to a strict school-year calendar or semester system, so they start throughout the year and last for the number of weeks determined by a professor. MOOCs are offered on a huge range of topics—everything from subjects commonly-found in a university course catalog such as “An Introduction to Operations Management” (taught by Christian Terwiesch from the University of Pennsylvania) to subjects more often aligned with lifelong learning such as “Giving with Purpose,” an introduction to philanthropy offered by the Learning by Giving Foundation. Currently, Coursera, Udacity, and edX are the three giants among MOOC providers, although the landscape is constantly evolving. Courses through these providers or others are generally taught by faculty from universities, colleges, and to a lesser extent, instructors from other types of organizations. Courses are delivered to students through the provider’s platform. 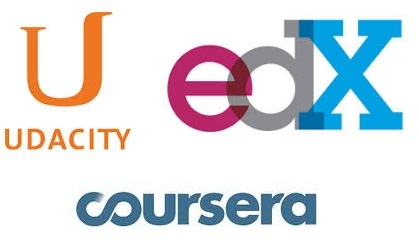 Courses are listed in directories such as Class Central, a searchable database of course descriptions from many MOOC providers including edX, Coursera, and Udacity. We [Google] support the development of a diverse education ecosystem, as learning expands in the online world. Part of that means that educational institutions should easily be able to bring their content online and manage their relationships with their students. Our industry is in the early stages of MOOCs, and lots of experimentation is still needed to find the best way to meet the educational needs of the world. An open ecosystem with multiple players encourages rapid experimentation and innovation, and we applaud the work going on in this space today. Two days later, competitor Coursera announced its own major milestone: $1 million in revenue through 25,000 registrations for their optional, fee-based “Signature Track” for courses. The Signature Track offers students the opportunity to receive a certificate in exchange for the successful completion of selected courses. While MOOC-related news seems to be omnipresent, not all of it is rosy. As states fight against reductions in funding for higher education, many faculty members have raised concerns about MOOCs or the possible unwanted implications of MOOCs, particularly in light of shrinking state budgets for higher education. Furthermore, since MOOCs are still in their infancy, quantitative data of any type is only minimally available. Most institutions are still grappling with a host of issues—e.g. whether or not to offer MOOCs; if MOOCs can be used as a mechanism for solving key problems; the costs, both direct and indirect, of producing and offering MOOCs; metrics and methods for assessing the effectiveness and success of individual courses and MOOCs as a whole; or how to best engage large groups of students in the learning process. With all of these unanswered questions, and new questions continuing to emerge, the landscape remains murky, and MOOCs are still considered to be highly experimental and a potentially-disruptive force for higher education. What to Make of the Fuss? But whether MOOCs are able to deliver on the promise of free education for the masses or they go down in history as a bust, they are positioned at the intersection of lifelong learning and global access to knowledge—an area closely connected to the mission and strategic goals of many libraries, making it possible for savvy libraries to take advantage of the opportunities created by MOOCs. Unlike with most classes, faculty members know very little about their students. Pomerantz explained: “All I know is what students have said about themselves in the discussion board.” But, based on comments in the discussions boards, it appears that the course includes some library science students, some recent graduates, and a good number of practicing librarians who are interested in enhancing skills. Enrolling in a class, regardless of the subject matter, will give you a chance to experience a MOOC first-hand from the perspective of a student, see what sorts of challenges instructors run into when leading a course for thousands of students, and may spark new ideas for ways libraries can support MOOCs. Just as MOOC instructors are not in a position to offer individualized feedback to thousands of students, it’s unrealistic to expect that librarians could somehow overcome the same challenges. But there are several ways to get involved. How to best support and enhance instruction in a MOOC depends on the nature of the course in question, but many of the ways one would approach any other class are certainly applicable. For example, Hoover suggests helping faculty by identifying or collecting Open Access, public domain, or other freely-available materials to use as course readings or supplementary materials. Other possibilities Hoover suggests that scale well include creating screencasts, videos, or other instructional content to teach students: how to use WorldCat to find something at a local library, how to get census data, how to search the Directory of Open Access Journals (DOAJ), what is an institutional repository, or how to find primary source documents in a digital archive. My greatest fear isn’t that libraries will disappear…but that libraries’ relevance might disappear if we aren’t careful. If that decreases a lot, our capacity to influence the learning process will diminish, and that would be a real shame. …Issues related to copyright have generated considerably less public discussion, while still causing great consternation on many campuses. Specific provisions in the U.S. Copyright Act that allow classroom use of third-party material without permission, such as section 110(1) and (2), seem not to apply in the MOOC environment. Fair use is certainly still available, but its application may be much more limited than in traditional classrooms. As a result, instructors often find themselves unable to use the same resources they have long relied on in their on-campus courses. To reduce frustration and facilitate the best possible instruction for these courses, the Office for Copyright and Scholarly Communication at Duke University Libraries began working with faculty early on in Duke’s foray into MOOCs to address copyright-related challenges in course development. While the number of institutions offering MOOCs is growing, at most institutions, MOOCs still have had little direct impact on library services. Even so, some librarians are leaping at the opportunity to loosely-adapt the concept of MOOCs to innovate, expand, and enhance library services in entirely new ways. At the bleeding edge of this path is the Z. Smith Reynolds Library at Wake Forest University, where eLearning Librarian Kyle Denlinger kicked off ZSRx, what is quickly becoming a series of MOOC-style lifelong learning courses for the Wake Forest community. The ZSRx course was less scripted than most MOOCs. Its emphasis on lifelong learning skills—as opposed to reformatting a traditional, for-credit semester-long course to fit the MOOC mold—allowed for more flexibility and on-the fly discussions. The course was organized into four, one-week modules, each with a different focus. But participants were encouraged to ask questions about topics or raise issues of interest which weren’t directly covered in videos or other course materials. For instance, participants were particularly interested in search algorithms and filtering. To demonstrate how search results are different from person to person, computer to computer, Denlinger had participants conduct the same search about a topic tied to the current news cycle, take a screenshot of results, and then share the screenshots to compare and contrast results. This exercise was not part of the original plans for the course, but, as Denlinger explained, “was a cool, informal thing that happened on the fly”—people were able to see the similarities and differences in search results at a scale that works better than in a classroom environment. Based on the success of the first iteration of ZSRx, the library is getting ready to offer its second course, Deacon Development 101, a course specifically designed for parents and families of Wake Forest students. The course “seeks to bring participants to a fuller understanding of how this generation experiences their college years. The course will explore how parents can help their students develop crucial skills like resilience and self-advocacy, and how students might develop greater awareness of their own identities.” The library, in conjunction with other campus partners, is already exploring other possible topics for future courses such as small business research and digital publishing. Further details are available on the ZSRx: Lifelong Learning website. As the ZSR Library is demonstrating, it is possible to create “MOOC-inspired” services—regardless of whether or not MOOCs turn out to be a significant mechanism for delivering education over the long run. Libraries have the potential to draw upon the issues, themes, and excitement raised by MOOCs to reinvigorate or reimagine their own services. With a bit of imagination, MOOCs can provide libraries with unlimited opportunities to reach new constituencies, improve global access to knowledge, and offer new ways to teach information literacy and other lifelong learning skills. 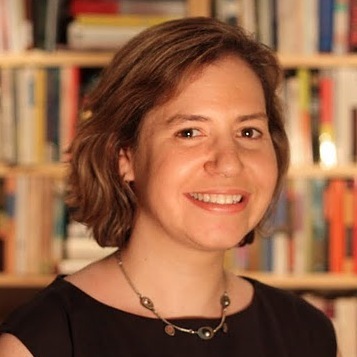 Abby Clobridge is the Managing Director of Clobridge Consulting, a boutique firm specializing in knowledge management, information management, and Open Access. Abby has worked with a wide range of organizations throughout the world, including various UN agencies; colleges and research universities; non-profit, inter-governmental, and multi-stakeholder organizations; the news media; and private sector companies. NEWSFLASH: EBSCO Announces Winner of the 2013 EBSCO Charleston Conference Scholarship. NEWSFLASH: IGI Global's Stipend to Attend the 2013 Charleston Conference Still Available!